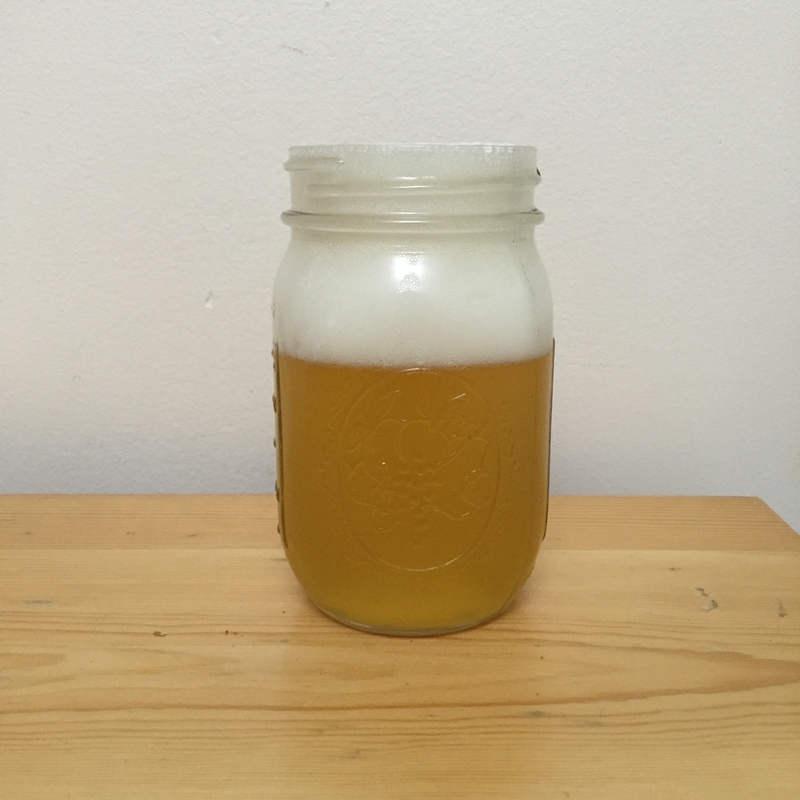 This post is concerning a beer I brewed last year, one of my single hop saisons. This time using Palisade. One of the goals for this project is to better understand hops through this series of single hop saisons. One of the more popular threads in this blog is the experimental hop saison posts. For those posts, most people haven’t used or sometimes even heard of those hops. They get a lot of hits and if the hops have a cool name, it helps my blog’s SEO. But despite being a hop head, for years I brewed primarily with amarillo, citra, cascade, centenial and chinook. So there are dozens of hop varieties that I overlooked from the comfort of a bunch of high alpha acid American hop varieties that started with the letter “C”. So in an effort to embody the academic rigor of “never stop learning”, I pick up half pound bags of hop pellets for a series of varieties I have never used before and make a single hop saison. (See Wakatu, Falconer’s Flight, Mandaria Bavaria). I am continuing my ongoing series on single hop saisons with Palisade. Palisade are an American hybrid hop variety, a Tettnanger varietal specifically. Tettnanger hops are typically on the milder side with regard to flavors and bitterness. Palisade may be described as a more aggressive Tettnanger variety. Tettnanger (American, Swiss, or German) is a hop I’ve only used rarely and perhaps I’m mistaken but it is in the category of hops in MY MIND that you use when you don’t want your beer to taste like hops. Palisade typically have about a 5 – 10% alpha acid content, mine were 6.5%, with a co-humulone content around 25%. So you can see that both of these numbers are pretty low…still higher than more Tettnanger varietals. The myrcene oil content is also rather low (~10%) but this hop can still give that herbal, grassy / earthiness typical noble hop flavor but stepped up slightly. I am playing with the grain bill a little bit but I want to keep it pretty simple. This is very similar to the grain bill from the chinook wet hop saison, probably one of my favorite beers I’ve ever made. So I’m pushing my grain bills in that direction. Honestly, grain is something I need to research a lot more, it is a growing gap in my knowledge base. The grains were mashed at 148 F for one hour, the wort was collected after a minimal vorlauf and batch sparged with almost 5 gallons of water at 170 F, minimal vorlaufed. Almost 9 gallons of wort was collected. Wort was boiled for 90 minutes, there was a slight boil over at the beginning but it was brought under control quickly. Otherwise an uneventful brew. About 6 gallons was recovered. Wort was chilled with an immersion chiller for 40 minutes. Yeast was harvested from Chinook Wet Hop Saison. Fermentation started within hours of pitching the yeast. See the photo below, these beers all look about the same. Yellow, hazy, nice white head small and medium bubbles, decent carbonation (force carbonation in the keg). Looks like beer. Aroma is sweet with a nice floral earthiness, mild fruit to it, non-specific fruit. I suppose it smells a little like citrus but it is pretty subdued. Beer is light in body but has some nice creaminess to it, I love that flaked barely feel. Carbonation is light and the beer doesn’t finish too dry. The hops are really the star of this beer, almost tea-like flavors with nice floral-ness and moderately bitter finish. The fruit flavors are there as well, nice, subtle fruit flavors again it tastes like a orange but not quite like an orange. I like the beer a lot. The hop is a good, mild, floral citrus hop with no pine or resinous feel to it. The mouthfeel and lack of a dry finish really help to showcase this hop. It’s far from my favorite hop but it definitely has a usable aroma and flavor. I bet it would pair well with a hop from the nugget-family. I would definitely use this hop in the future. Generally, I enjoy playing with hops in this manner. I usually get the comment whenever I post one of these “Why did you use a saison yeast? Wouldn’t a neutral yeast be better?” My basic answer is always, “I know I’ll end up with a good, interesting beer no matter what I do.” I think I could play with the dry hopping schedule a little or ferment these under pressure, I’d really like to get into that. Maybe do a more “NE IPA” treatment with these beers or make the grain bill a bit more interesting. I think this a fine process for me to specifically do what I need to do to learn more about these hops. In general, I like how these beers turn out and how they taste and I love making them. The posts I’m writing right now are a post about Single Hop Loral Saison (almost done) and a post about ADHA529 for the experimental hop series. I have some NZ Waimea, NZ Sticklebract and El Dorado hops that are going to be fed into this series as well. I’m writing more about the science of brewing as well, exploring why yeast makes alcohol at all…a little bit of an existential question but still something interesting to contemplate. I’m also updating my set-up and system at home over the winter so I might have some posts about construction and what not. Stuff to look forward to. I am trying to build a lifestyle that allows me to post more often but the brewery is in flux (I really should write more about the brewery) and that is taking up all of my free time. I think this winter might be a good opportunity for me to clear out some back-log and post more regularly. I guess time will tell. Haha, another brew I’m planning, looking forward to comparing :).